Bay Area Musicals has opened its fourth season with a tremendously energetic production of “Crazy for You” at the beautiful Alcazar Theatre in San Francisco, through December 16. On a stunningly versatile set by Kuo-Hao Lo, the Ken Ludwig/Mike Ockrent reworking of the Judy Garland/Mickey Rooney song-and-dance film “Girl Crazy” features music by George and Ira Gershwin, including many tunes that long ago entered the Great American Songbook as pop and jazz standards: “Someone to Watch Over Me,” “Embraceable You,” “I Got Rhythm,” “Naughty Baby,” “They Can’t Take That Away from Me,” and “Nice Work if You Can Get It”—all backed by a superb seven-piece backstage band. It’s all good fun in this quick-paced two-hour musical, with ensemble work that borders on astounding. The setup is a classic boy-meets-girl scenario in which Bobby, the boy, (Conor DeVoe) avoids his wealthy but overbearing fiancé Irene (Morgan Peters) by leaving New York on his mother’s orders to take over a defunct theater in a small Nevada town. There he meets Polly (Danielle Altizio), the toughest gal in the West, and the daughter of the theater’s owner. Subverting his mother’s wishes, they hatch a plan to revive the theater, leveraging the hitherto untapped talents of the local layabouts as well as a bevy of dancing girls from the Zangler Follies, who miraculously descend on the town in time to put on a spectacular show. The storyline includes more happenstance love affairs than a Shakespearean comedy, at least one protracted bit of mistaken identity, and a happy-ever-after ending. The cast of “Crazy for You” at work, Alcazar Theater, San Francisco. It’s all good fun in this quick-paced two-hour musical, with ensemble work that borders on astounding. There’s some fine comic acting and plenty of great dancing, especially an abundance of tap (choreography by Matthew McCoy and Danielle Cheiken, who include much of Susan Stroman’s Broadway original). 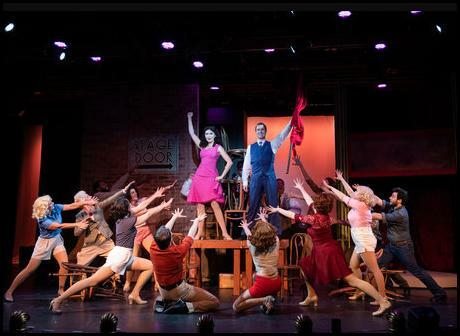 The performers’ singing isn’t quite up to their high level of dancing, but with the backing of a great band it’s adequate to keep the show rolling along while doing justice to the Gershwins’ marvelous music. The renovated structure housing the Alcazar is a star in its own right, with an ornate exterior that belies the austerity of a simple white interior festooned with modern and contemporary art. It’s as if the theater resides inside an upscale gallery. 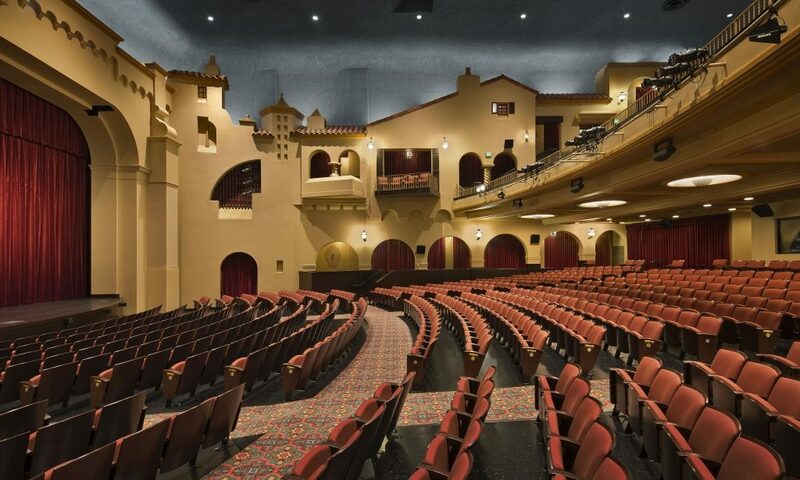 Art fans and those with an eye for interior design will be as smitten with the Alcazar as ticketholders will be with “Crazy for You.” It’s a real crowd pleaser. ASR Theatre Section Editor and Senior Contributor Barry Willis is a member of the American Theatre Critics Association and president of the SF Bay Area Theatre Critics Circle.